Highlights of the Sky Bet League One game between Coventry and Bury. 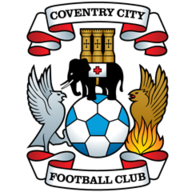 Coventry were back to their thrilling best as they thrashed Bury 6-0 at the Ricoh Arena. The Sky Blues had the three points wrapped up by half-time after flying into a four-goal lead before the break. Chris Stokes volleyed the first in the fourth minute as he latched onto Joe Cole's corner. Baily Cargill fired his first goal for Coventry in the 12th minute from close range after another set-piece delivery from Cole. It got even better for the home team in the 16th minute when they took a quick free-kick in midfield and James Maddison dribbled forward before shooting home from the edge of the area. 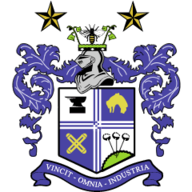 Bury had a couple of good chances before John Fleck made it four in the 43rd minute as he was allowed time and space to hit a low shot past Ian Lawlor in the Bury goal. Coventry made it five in the 68th minute as Adam Armstrong raced onto a pass from Cole and slotted home before Fleck put the ball on a plate for the striker in the 70th minute for him to grab a second.